As part of the FDA’s Digital Health Innovation Action Plan announced in 2017,2 the Pre-Cert program is intended to accelerate market entry of digital health devices by creating a process to establish confidence in the developer’s capabilities to create and maintain digital health devices that meet the agency’s standards for safety and effectiveness. The documents released in January include the third iteration of the Pre-Cert model, the proposed regulatory framework for the program, as well as the agency’s plan to test the model. Collectively, they demonstrate a stepwise, collaborative approach that seeks to leverage stakeholder input while emphasizing the importance of real-world performance data post launch. If all goes as planned, the FDA will have successfully primed the regulatory pathway for digital health innovations while still ensuring their safety and efficacy. The Pre-Cert pilot program’s most unique feature is that it enables the FDA to appraise the capabilities of the developer, rather than an isolated look at an individual product. Ultimately, the agency hopes the program will allow developers who have been assessed by the FDA for meeting these excellence principles to participate in a more tailored, less redundant pre-market submission process more appropriate for their specific type of digital device. Nine companies—large and small, focused on biopharma and technology, and working on high- and low-risk products—were selected for the pilot out of more than 100 applicants to represent different perspectives and approaches to digital health technologies3. Pilot companies including Apple, Fitbit, Samsung, Johnson & Johnson, Pear Therapeutics, Phosphorus, Roche, Tidepool, and Verily. In its January update to the working model, the FDA provided more clarity around the Excellence Appraisal process by identifying characteristics necessary for requesting precertification appraisal and defining the domains and elements required by companies to participate in the program.4 Following a set of principles that includes applicability regardless of organizational size, and a recognition of unique processes and capabilities from company to company, the agency’s goal is to apply the least burdensome approach for developers to comply with regulatory observation and appraisal. The new working model also identifies a process to monitor and maintain Pre-Cert status, in addition to encouraging transparency with all stakeholders, and engaging with the FDA. The proposed elements for organizations to demonstrate excellence principles takes into account organizational characteristics such as leadership, resources, and a culture of transparency, as well as operational qualities such as risk management, continuous improvement, and validation. Each of the proposed 12 elements map to at least one of the five domains borrowed from the International Medical Device Regulators Forum: product safety, product quality, clinical responsibility, cybersecurity, responsibility, and proactive culture.5 As with many other components of the Pre-Cert model, it’s notable that significant changes and additional details to the excellence appraisal elements reflect the numerous comments and suggestions the agency received on the previous versions of the Pre-Cert framework. One of the more important aspects in the Pre-Cert program is the emphasis on Real-World Performance data for novel digital devices. In the absence of traditional clinical trials, the requirement that all participants in the Pre-Cert program be required to generate and report real-world performance data is critical. Included as an element in the excellence appraisal section, organizations participating in the Pre-Cert program will already be expected to demonstrate a commitment and capability to collect and analyze post-launch data. These data would then be used for a variety of purposes: from identifying emerging safety and cybersecurity risks, to supporting the appropriate use of post-market data in clinical evidence generation. As echoed in the Excellence Appraisal element of transparency, it is incumbent on developers to share real-world performance data of their product with patients, providers, payors, regulators, and the entire constellation of stakeholders. One of the most pressing, previously unanswered questions regarding the Pre-Cert program concerned the type of regulatory pathway that would be most appropriate. Stating that the “most efficient way to test this type of program is to do so within the FDA’s current regulatory authorities,” 1 the second component released in January describes how the agency intends to use the de novo pathway for novel technologies to implement the next phase of the Pre-Cert pilot.6 Pointing to two recent digital health device submissions that used this pathway—a computer-aided triage software that uses artificial intelligence to analyze images to potentially predict stroke, and a smart watch to help predict atrial fibrillation—the statement from FDA Commissioner Dr. Scott Gottlieb indicates that the de novo regulatory pathway for certain novel types of low- to moderate-risk devices is “well-suited to meet the goals of the Pre-Cert program.” By obtaining much of the requisite Quality System Regulation information during the Excellence Appraisal process, the agency hopes to streamline the submission process and reduce redundant steps for developers. The proposed three-step process for Streamlined Review begins with developers educating the agency on the software and its potential clinical benefit; continues with a pre-market interactive review of the product; and culminates with a market authorization decision. Each of these steps envision several ways in which developers can work with the FDA to seek marketing approval of a novel digital health device. As the agency seems amenable to exploring various mechanisms for interactive demonstrations and product performance audits, public feedback on this component of the review process will help inform future refinements to the Pre-Cert program and the Digital Health Action Plan overall. To fully assess whether the Pre-Cert pilot program can adequately assure safe and effective digital health devices in a streamlined regulatory process, the third component released in January outlined the FDA’s plan to test the approach.7 This document describes the agency’s plan to conduct retrospective tests of Software as a Medical Device regulatory submissions that have been previously reviewed, and to prospectively test with participants in the pilot program (on a volunteer basis). Emphasizing no additional burden to the developer, the FDA intends to conduct two parallel review processes; one using the Pre-Cert pathway (including the components of Excellence Appraisal, Review Pathway Determination, Streamlined Review, and Real-World Performance plan), the other using the traditional review approach of a de novo application. A side-by-side comparison will therefore provide potential refinements for each component in addition to providing input to and validation of the Pre-Cert framework. The FDA is accepting public comments to the working model and intends to incorporate feedback and appropriate suggestions into future versions. Additionally, the agency plans to move forward with the pilot program and to test the framework throughout 2019. Although the framework still requires further refinements—such as an element of interoperability, perhaps—the FDA’s stepwise approach to the Pre-Cert program and its transparency around its creation is commendable. The agency’s effort to streamline the development of digital health devices through collaborative discussions is encouraging. And, their willingness to solicit and incorporate public feedback is a positive step toward realizing the public health potential of digital health technology while assuring the safety and efficacy of these novel products. We live in an increasingly digital world. A proactive FDA has scanned the horizon, seen the approaching wave of digital health advances, and is priming the regulatory pathway to be ready. 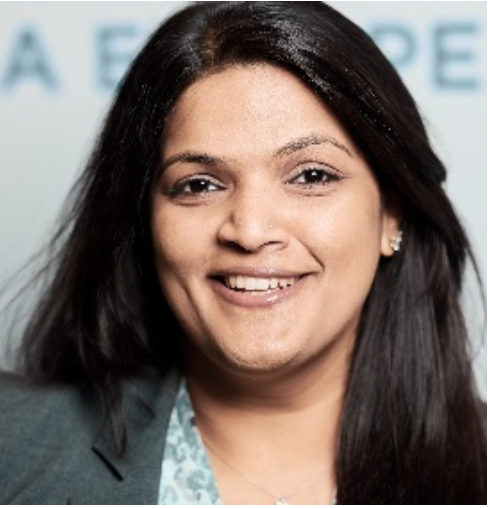 Ranjini Prithviraj, PhD, is Global Associate Director, Content Collaboration, at DIA. 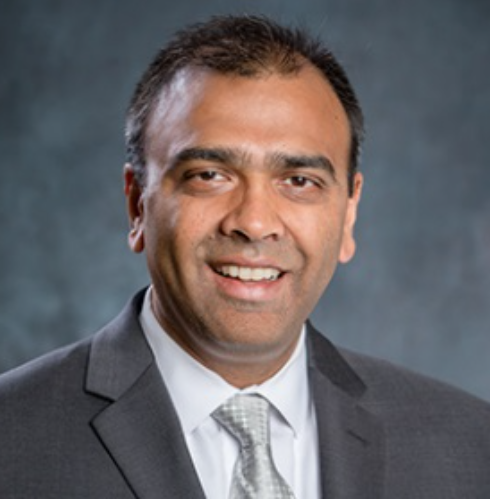 Sudip Parikh, PhD, serves as Senior VP and Managing Director for DIA Americas.